LeAnn Rimes Live & Unplugged — I.C.C. JUST ANNOUNCED!! 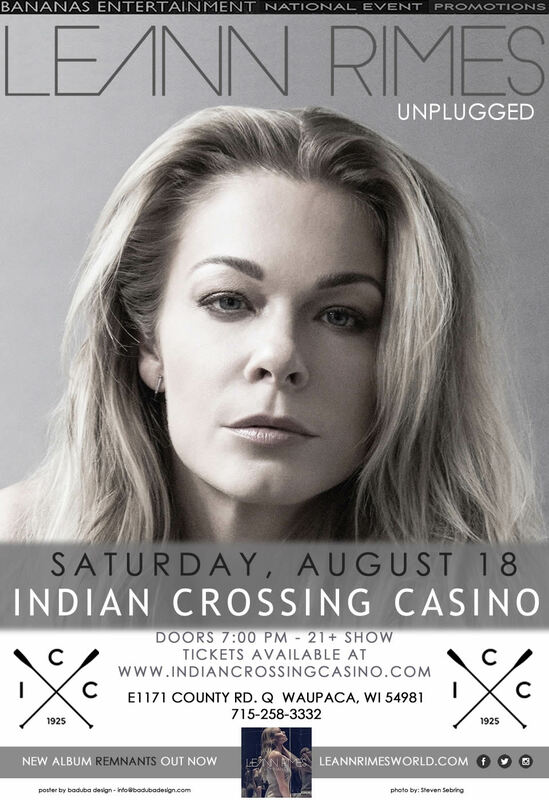 The Indian Crossing Casino welcomes for the first time ever, LeAnn Rimes Live & Unplugged this Summer, Saturday, August 18th! The mutiple Grammy Winning singer has sold over 44 million albums and 13 #1 hits and will bring her Intimate Unplugged show to the ICC for one night only. Advance tickets will go on sale this Friday (March 9) at 10am. This will be a limited ticketed seated show so grab your tickets up quick while they last.